Minimizing these difficulties requires a detailed monitoring of the entire process, from the very start, that is, the preparation of the cargo and documents, until its completion, i.e. delivering the cargo to its final destination and complying with all the formalities of the many different government agencies. BRKAIRÓS employees are thoroughly familiar with all the ins and outs of this procedure, which ensures the high quality of their services. You can count on a BRKAIRÓS agent to clear your cargo in all the major ports, airports and dry ports (EADI) of Brazil. 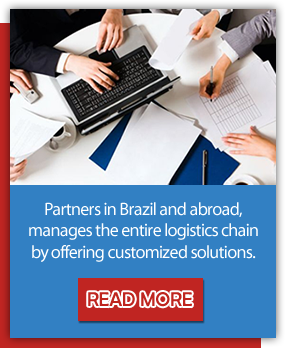 Our partners in Brazil and abroad manage the entire logistics chain with customized solutions.